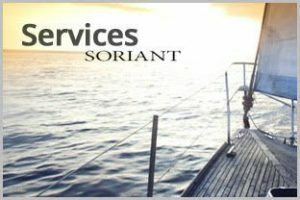 Nearly twenty years ago, Soriant was founded with one principle in mind: finding cost-saving solutions focused on our clients most critical opportunities and issues. Our experienced consultants are industry leaders in identifying costly expenditures and reinvesting these dollars where they matter the most, with a holistic approach. Soriant helps you pinpoint the areas you can save thousands, from facilities costs to food services. We partner with hospitals, universities and healthcare professionals to provide custom business solutions and strategies for financial viability, while maintaining patient satisfaction as our number one priority. At Soriant, we are committed to solutions that ensure the long-term success of your institution. Our advanced tracking and measurement tools are the industry’s most reliable metrics for identifying and implementing sustainable improvements. Collaborating with our clients to empower your organization’s capacity for improvements and results. The quality of Soriant Services is based on accuracy and transparency throughout the entire consultative process. From individual community hospitals, large public universities to multi-state health systems, our clients are top performing institutions that are optimizing their budgets and achieving fiscal projections. Also, paramount is our focus on improving student care and satisfaction. As your partner, Soriant can help your organization accomplish these goals and more!